He came to see me in my room one day. While there, he saw my bible (I had just started learning about Jesus and going to church). At that time, he could not read English and his spoken English was limited. 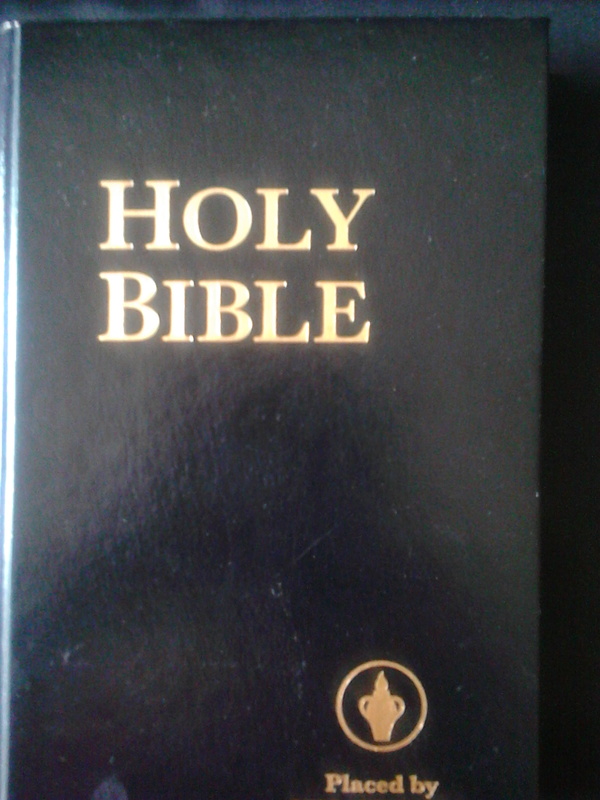 So he picked up my bible which was in English, and began to read it and you know what? He could read English. He got so excited, wouldn’t you? He went to get a newspaper (in English) and tried to read it but could not! 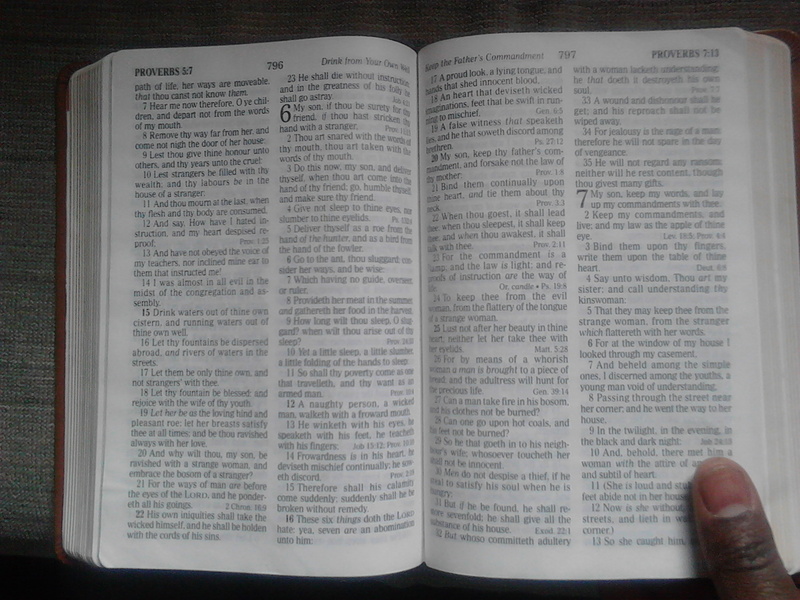 So he began to pay me a visit every morning in my room to read my Bible as he was interested in learning English. But you know ‘faith comes by hearing and hearing by the Word of God.’ One Sunday morning, the last Sunday of the year, I was surprised to hear him offer to drive me to church! I quickly ran to change my clothes before he could change his mind. When I came back downstairs where I had left him, he was not there. I called him and shortly I saw him come down the stairs dressed in a suit. I said, ‘Dad, you don’t need to wear a suit to drive me!’ keep in mind I was 18 yrs old. He replied,’I am going with you to church today.’ Wow! I was so glad. God was answering my prayer right in front of my eyes. The Spirit of God really worked in him as we drove for those 40 minutes before reaching the church. For the first time, he was acknowledging God for the different things he had given himself credit for in his life; he was now seeing that it had been God working in his life. We reached church and the congregation was happy to see my father attend church with me. Being the last Sunday of the year, the Pastor announced that he was going to anoint everyone with oil and pray for each for the coming year. Beginning at the front, a row of people went forward for prayer. As some were prayed for, some fell under the power of God and others didn’t. My dad began to mock saying that those who fell down were faking it. Well, our turn came and we went forward including my father. The minister would get to pray for me before my father as he would go by my way first. As the Pastor made his way down the row, my dad says that he began to confess his sins asking God to forgive him. He began to think that maybe those that were falling down were the ones with worse sins. He said to God, ‘please don’t let me fall. Don’t let my daughter see how bad I am.’ And on he pleaded for mercy. Well, the Pastor prayed for me and I didn’t fall down. My dad was now sure of his theory as he said, ‘I know my daughter is good and she didn’t fall down.’ So it was his turn. While being prayed for, he felt weak but fought hard to not fall. You know what happened? He didn’t fall down backward like the rest of the people who had fallen down. A force pushed him down forcing his knees to bend and he fell on the floor kneeling down. You know ‘every knee shall bow and every tongue confess that Jesus is Lord.’ He could not feel his legs. While on that floor. He heard a voice in our native language, Kinyarwanda say, ‘he’s been received!’. When he was finally able to get up, he found me back in my seat. He asked me, ‘did you speak to me.’ I answered him, ‘how could I speak to you when you were at the front and I in my seat in the back?’ He then asked, ‘is there anyone here who speaks our language?’ I said, ‘no, dad.’ He could not get over that voice that he had heard so clearly. The following day was new year’s eve and there was going to be a service at the church. I being 18 yrs old was heading to Niagara Falls for celebration. My dad surprised me when he informed me that he was heading to church that night! Wow!! Well, he went and there he received Jesus. Shortly after, the power of God came upon him and he found himself speaking and singing in a new tongue. The Lord had filled him with the Holy Spirit. He was a new man. Hallelujah! Praise be to God! He is a good God!